The High Performance Program aims to develop and retain young and emerging talent and maximise the performance of Australia's elite athletes. 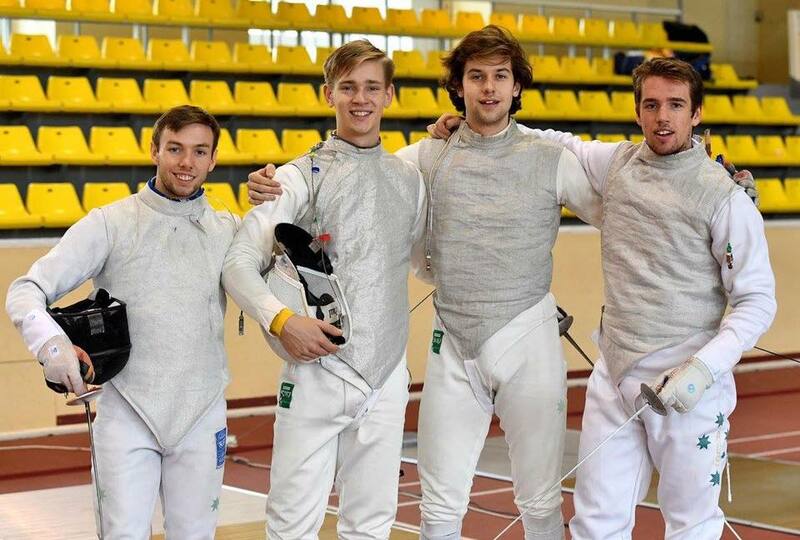 Australian Fencing needs to ensure there are varied pathways to ensure our athletes develop at an appropriate rate for their age and ability, remain engaged and enthralled by the sport and will make the sacrifices required to achieve international success. The High Performance Program is designed to inspire them, to earn their confidence and commitment, and provide them with the best possible opportunities to achieve their dreams and aspirations. Each year the AFF publishes a High Performance Plan Annual Program which provides information on the requirements and commitments of the AFT and AFS and identifies key performance indicators for athletes, coaches and other personnel. Each annual plan forms a critical stepping stone to achieving medals in the international fencing arena. AFT and AFS membership runs on an annual cycle, ending with the world fencing championship event relevant to each age category (Asian Zone Championships for Under 23). Several calls for nomination for the AFT/AFS are made throughout the year. The AFT is a self-funded program. However, the cost of belonging to the AFT/AFS is no higher than the cost of training for and competing in international competitions. Athletes pay quarterly fees to join the AFT. These fees replace the costs of individual lessons, state squad training and national fencing camps. The fees collected by the AFF are then passed on to personal coaches (lessons) and states (squads) with any residual used to offset the travelling costs of officials. There is no guarantee officials’ travel costs for international events will be covered entirely by AFT fees. It is impossible to predict these costs accurately at the beginning of a season and athletes may be required to contribute more at the end of some tours. • Personal Lesson Fees. These are invoiced at the rate as indicated, regardless of the actual value of lessons as charged by an athlete’s personal coach. Where the coach charges more for lessons, the athlete and personal coach should come to an agreement regarding the payment of the shortfall. • Squad Attendance Fees. Again, these are invoiced at the rate as indicated, which is in line with the squad fees as charged in the relevant State. • Participation Contribution Fee. Depending on the category of membership this fee includes costs associated with coach travel, camps, and HPP administration. > View guidelines on how this fee is calculated. Where an athlete has paid a deposit as part of their (successful) HPP nomination, this is offset against the next invoice after becoming part of the HPP. No credit note is issued; it merely appears as a rebate on the statement issued some time after invoicing (see below). A small number of athletes have applied for, and received, exemptions and variations to the invoicing aspect of their athlete agreement. Where that has taken place, an athlete will also receive a credit note as part of and slightly after the HPP invoicing process. Athletes are reminded that there is no “carry-forward” of any HPP exemptions and variations from year to year. Where a member of the AFF's administration team becomes aware that the situation that may otherwise give rise to a credit note will not extend for a full quarter, then that credit note will not be issued. In these circumstances, the athlete should liaise with the High Performance Manager to verify the conclusion of any exemption / variation period, and the HPM will then advise the finance staff accordingly. As detailed in the document relating to the Participation Contribution Fee (see above), there may be a rebate which is provided relating to coach travel. This will also be dealt with as a credit note in line with the timing as documented (i.e. it will not be dealt with as part of tour Team Levy calculations). Credit notes are automatically applied to any outstanding invoices, and athletes should pay only the net balance of invoices. Where an athlete has no outstanding invoices, the process for receiving a refund is described on the credit note itself. The AFF does not offset HPP-related credit notes and rebates against other fees collected (for example, tour nominations, AFF competitions, etc.). Invoices are usually issued mid-quarter, relating to that quarter, and are payable within 14 days. Athletes may also request moving to a monthly invoicing cycle should that present a more convenient funding process for them. Athletes will be issued with a Statement of Account at or soon after the end of the month following the issue of HPP invoices, so that they may confirm the status of their account, including any credits. Athletes may – at any time – request a Statement by emailing [email protected].